The foam roller works as different body part exercise rollers to help muscle stretch and self myofascial, such as up back roller , lower back roller , leg roller , calf roller , hamstring roller , neck roller , shoulder roller , spin roller and quad roller. The deep tissue roller will provide muscle soreness relief and offers a great foam rolling experience. 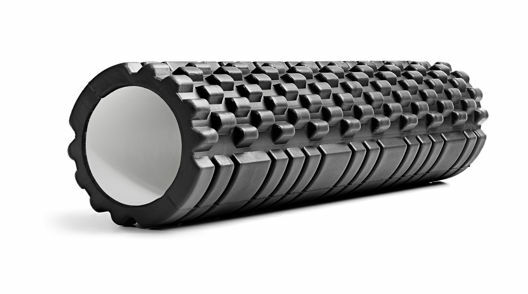 The exercise foam roller adopts excellent quality EVA material which could load up to 440lbs. Do not worry this foam roller may broken. It is quite durable. Besides, the massage roller is odorless and non-toxic. adult and kids could use this roam roller for muscle stretch and self myofascial confidently. The foam roller for back and legs goes with one size which suitable for both adult and kid, men and women. The exercise body roller will fit in general sports bag or backpack well. Besides, the foam deep tissue roller use lightweight material, which is convenient for carrying. The foam roller can be used for muscle stretching during multiple work outs such as yoga, exercise, fitness, crossfit, lifting, workout, training and physiotherapy. Men and women use the exercise roller to stretch muscle or relieve back or leg pain before or after activities. The foam roller is one of the best exercise equipment for indoor or outdoor activities. material lightweight PU and EVA material, to resists moisture. color the color can be chosen individually. however, most customer's choose to produce orange yoga and pilates rolls.